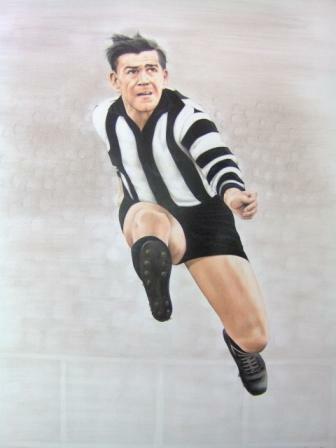 Des Healey was a brilliant and attacking wingman whom both Phonse Kyne and Lou Richards regarded as the best winger Collingwood had ever produced, whilst Essendon legend John Coleman described Healey as the best wingman he had ever seen in the game. 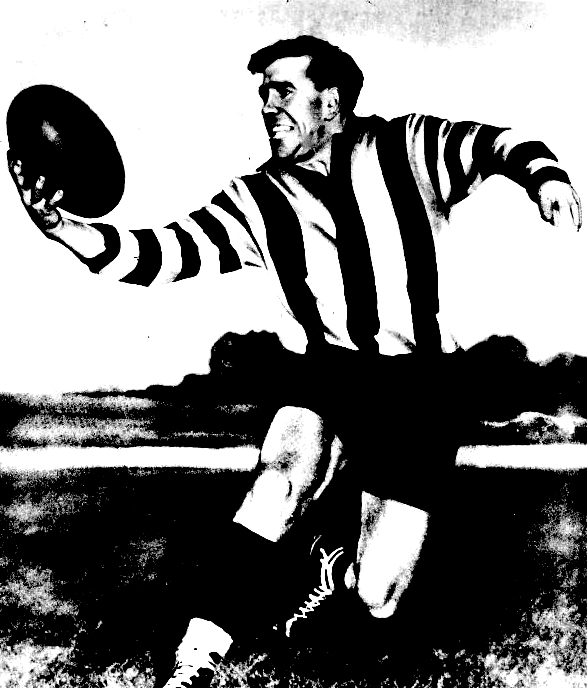 Coleman praised him by saying, “He is clever, has that wonderful tenacity of all good Collingwood players, and is tireless.” His teammate Bill Twomey Jr. said that Healey was the cleverest player he had ever seen in one on one duels, whilst Bob Rose said that Healey was a top class player who had everything. 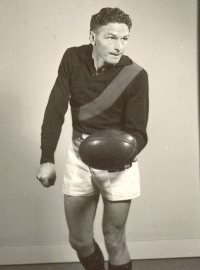 Richmond’s duel Brownlow Medalist Roy Wright called Des the gamest player he had ever seen and that he had a lot of courage for someone who was just 5’6″. “If he were a big man he would kill someone the way he tears through packs” Wright said. Along with fellow left-footers Bill Twomey and Thorold Merrett Healey was a part of one of the best centrelines of the era. The tenacious Healey was small and fast and a great stab-kick off his left boot. He also possessed a safe pair of hands as he was a great mark. He showed dazzling speed in the way he cashed the ball and could keep control of it with uncanny ability. His evasive skills were superb. Healey worked long and hard perfecting his talent. He often spent extra nights alone on the training track twisting and turning around imaginary opponents at top pace. His unrivalled commitment was inspiration for all. 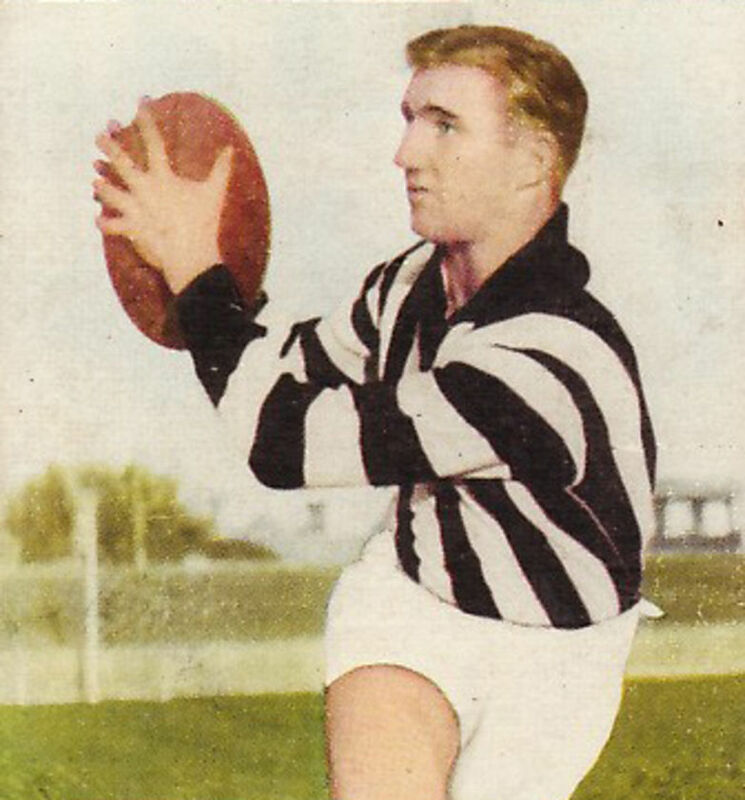 1953 was a stand out year for Healey, as he won All-Australian selection and was judged by many observers to be best on ground in Collingwood’s premiership win. He was third in the Copeland Trophy behind Bob Rose and Neil Mann. 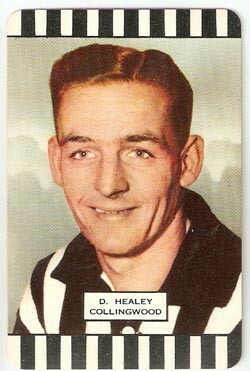 Unfortunately today Healey is most well-known for the last game in which he played, the 1955 Grand Final loss to Melbourne. In one of the most talked about incidents in Grand Final history and with three minutes to go in the match, Healey collided with Melbourne’s Frank ‘Bluey’ Adams who had just run onto the ground from the bench. 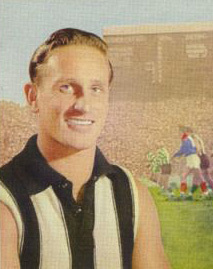 Healey, who had been the Magpie’s best player to that point, had his nose broken, skull fractured and was severely concussed. Despite winning the Copeland Trophy that year he never played another game saying ‘I could not stand another blow like that. He was just 27. Healey was also an outstanding cricketer who in the 1953-54 season was a part of Collingwood’s first grade district cricket team. 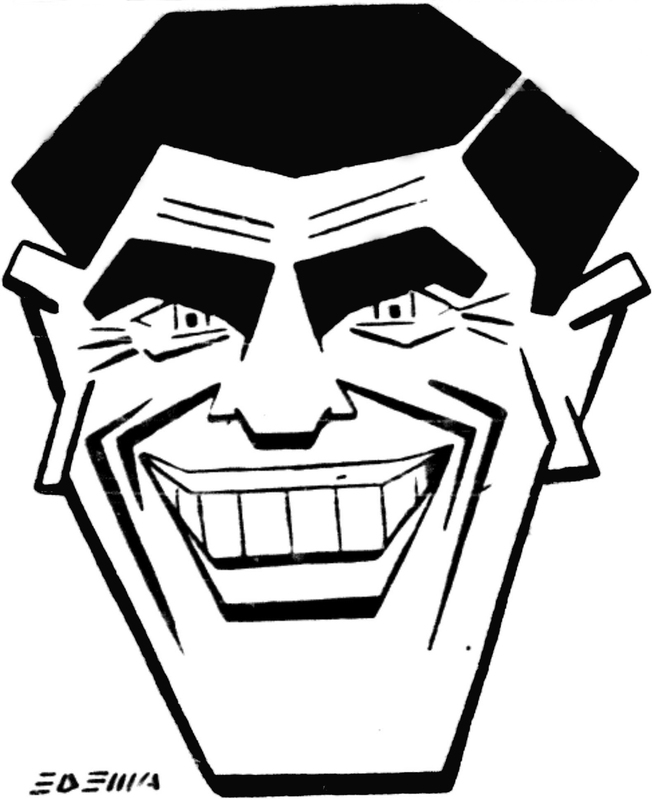 In the 1952-53 season he was a part of the Magpies’ second XI team where he topped the batting averages and won the club championship. He top scored in the final match of the season with 92 runs against South Melbourne. 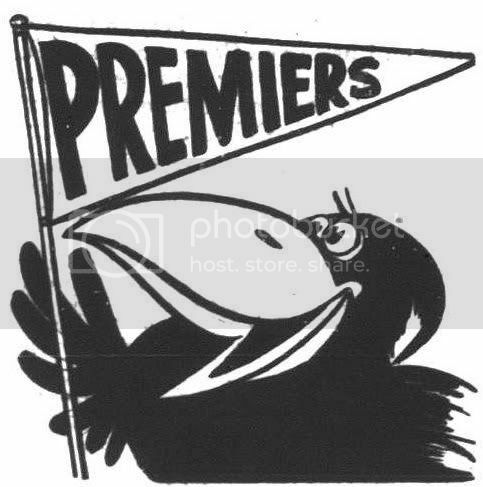 Two years earlier both Healey and Merrett were team-mates in Collingwood’s 1951 Third XI team that won the cricket final against Prahran. They put on a 151 run partnership to set up their victory, with Healey scoring a century and Merrett making 51. 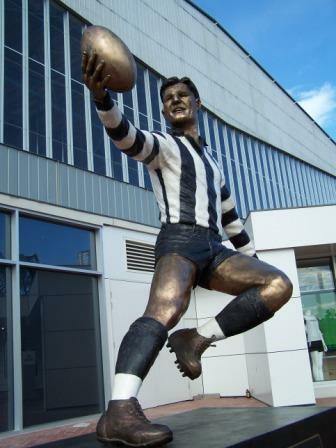 In the late 70s Des spent six years as coach of Collingwood’s under 19 team, nuturing young talent such as Peter Daicos. Healey passed away in 2009 aged 81.